A member of Delaware County Emergency Medical Services will provide assistance to Hurricane Harvey relief efforts in Houston. “We literally just got word in the last 10 minutes that Lt. Steve Kocsis has been deployed as part of Ohio’s Disaster Medical Assistance Team and will depart this evening,” said Jane Hawes, a county spokeswoman, in an email to The Gazette Tuesday evening. “Another four EMS employees are on standby for that group, and one additional employee is on standby as part of the Ohio Task Force One, which is a search and recovery crew,” she said. Kocsis is just one of many Central Ohioans headed to the Lone Star State to offer a hand to Texans struggling to rebuild their lives in the wake of the storm. The American Red Cross Ohio Buckeye Region deployed 35 volunteers to provide assistance. The central Ohio chapter includes Delaware, Franklin, and Madison counties. 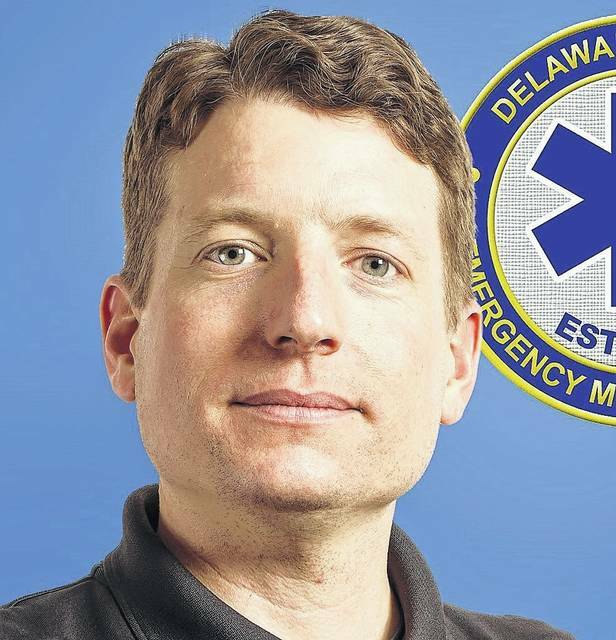 The Delaware County Emergency Management Agency “encourages those who are so inclined to donate to support non-governmental organizations” such as the Red Cross and the Salvation Army, said Sandy Mackey, an administrative manager for the Delaware County EMA. “One of the best ways the public can support disaster survivors as they recover is to donate money to trusted, reputable, voluntary or charitable organizations. Monetary donations offer the most flexibility in addressing urgent needs and obtaining much needed resources,” Mackey said. Harvey initially made landfall as a Category 4 hurricane on Friday then lingered off the coast of southeast Texas for five days as a tropical storm that dropped record amounts of rain on Houston, the nation’s fourth largest city, and the surrounding area. The storm made landfall for a second time early Wednesday, coming ashore near Cameron in southwest Louisiana and bringing with it a heavy dose of rain that was forecast to spread farther north as the day progressed, perhaps as far as Missouri, Tennessee, and Arkansas. Some sunshine was, finally, forecast for Houston. As of Wednesday, some 13,000 people had been rescued in the Houston area, and more than 17,000 had sought refuge in Texas shelters. With the water still rising in places and many hard-hit areas still inaccessible, those numbers seemed certain to increase. People can make a donation to the Red Cross by visiting www.redcross.org, calling 1-800-RED CROSS, or texting the word HARVEY to 90999 to make a $10 donation.